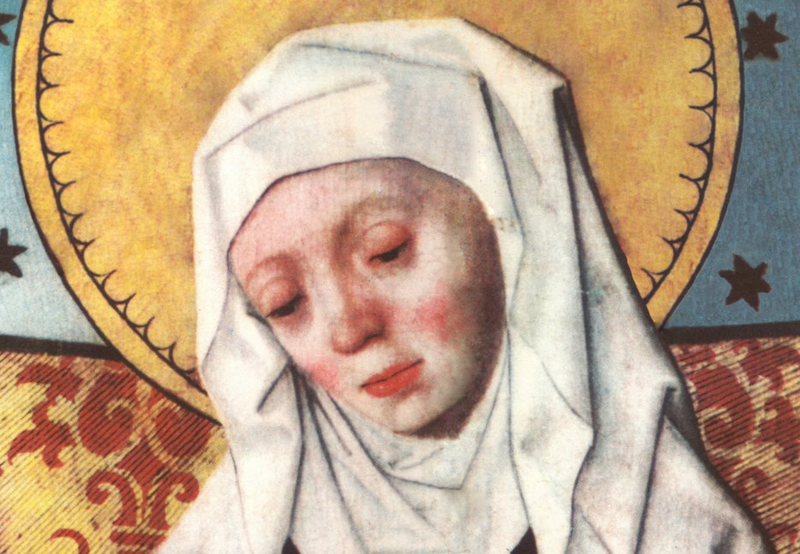 One of the most important female saints of the Middle Ages is the subject of a new research project led by Professor Unn Falkeid of the University of Oslo. Entitled “The Legacy of Birgitta of Sweden. Women, Politics, and Reform in Renaissance Italy,” it tracks the impact of the 14th century mystic and founder of the Bridgettines on later generations. Birgitta Birgersdotter was made a saint in 1391, the only woman canonised in the 14th century. But who was she? Birgitta was born in Norrtälje in Sweden in 1303. She came from some of Sweden’s most powerful family dynasties and was related to the royal family. At the age of 13, she was married to Ulf Gudmarsson; they had eight children. Both Birgitta and her husband were very religious, and went on pilgrimages to Nidaros and Santiago de Compostela. In 1344, Birgitta became a widow, and later gained a strong position as a powerful author of religious and political texts. She is particularly famous for her revelations. She had about 700 visions, which she wrote down in four large volumes (divided into eight books) totalling 1400 pages, entitled Liber Caelestis (Celestial Revelations). Her descriptions of her revelations are considered to be the main literary work of the Swedish Middle Ages. In the Italian Renaissance, a great many women expressed their opinions in writing. The number is remarkably high compared with other countries in the same period, according to Professor Falkeid. Another important factor was the many convents. St. Bridget was the only woman to found an order in her own name, and the Birgittine convents in Italy, especially in Florence, became important centres. “In the 15th and 16th centuries, the Birgittine convent in Florence was an intellectual meeting point for powerful families, such as the Medicis, and for reformist and intellectual women. Here, many texts were written and copied, and the nuns collected literature, translated and had the works printed and disseminated,” says Professor Falkeid. The project consists of four parts. In the first part, researchers will explore the network in Italy at the time of Birgitta of Sweden. “Birgitta’s revelations and letters reveal an extensive network that is quite fascinating. So the first part of the research consists of uncovering and describing this network,” says Unn Falkeid. In the next phase, they will study how Birgitta’s writings were spread in Europe after her death. The research team will examine how her writings can be linked to the reform movements in the Italian Renaissance. Professor Falkeid explains, “Birgitta was extremely critical of power. Her religious visions were almost always linked to political events. She criticised the use of slaves, the Hundred Years’ War between England and France, and the Pope’s long-term stay in Avignon. What is interesting is that Birgitta was heard and respected, both in her own time and later, despite also having many dangerous and powerful opponents. Professor Falkeid thinks that exploring and elucidating women’s voices from the past is extremely important work. “What has urged me on has been my desire to discover, or rather to rediscover, women’s voices in history. Many women whose works were published in the Renaissance were very important in their time and widely read. Although many of these writings have been republished in recent years, and even translated into English, there are still a large number of brilliant works that have not been printed since the 16th century. “Birgitta was extremely critical of power. Her religious visions were almost always linked to political events,” says Professor Unn Falkeid. She heads the project on Saint Birgitta of Sweden. Photo: UiO. For a long time, the contribution of women was deliberately brushed aside. “We can clearly see in modern historical research from the late 19th century how women were written right out of history,” Professor Falkeid adds .But now, fortunately, the wind has changed and we see a huge interest in rediscovering female producers of culture and knowledge: philosophers, painters, visionaries, natural historians, poets and composers. Top Image: Birgitta of Sweden on an altarpiece in Salem church, Södermanland, Sweden.